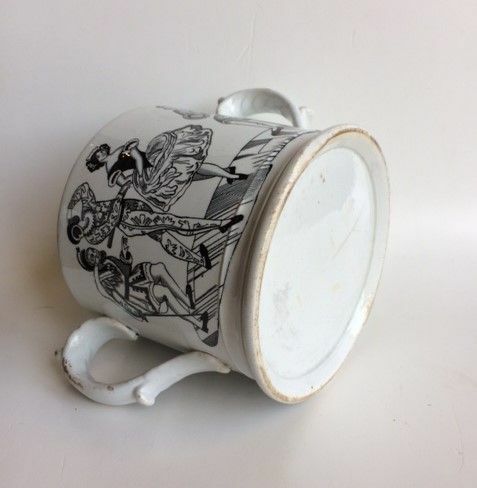 A large two handled loving cup or 'surprise' earthenware presentation mug. Decorated with transfer prints of theatrical engravings and chap-book prints. It was probably made by the Staffordshire firm of Elsmore and Forster, Clayhills Pottery, Tunstall, which operated between 1853 and 1871 and specialised in this type of presentation ware. 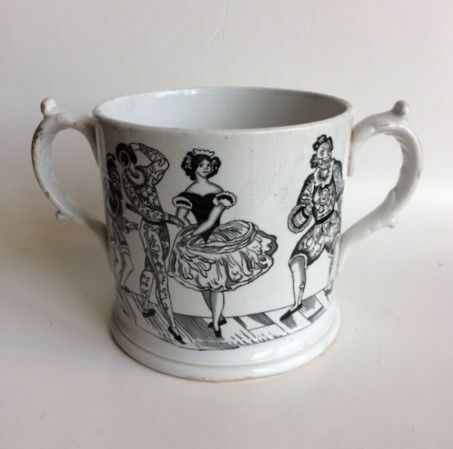 Whilst relatively rare to find clown prints, this clown print and Harlequinade figure group also feature on similar Elsmore and Forster jugs. 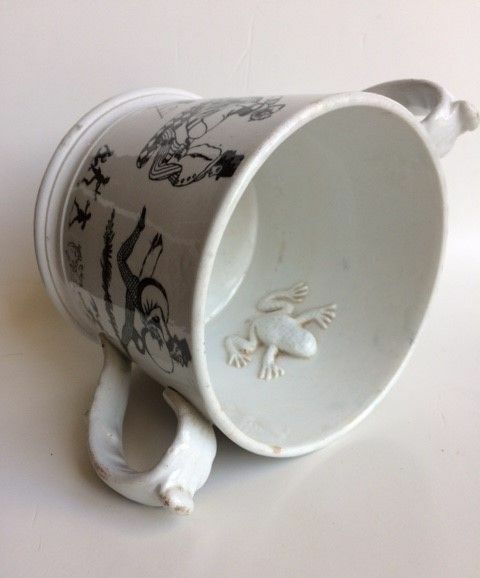 Inside the mug nestle two charming frogs. 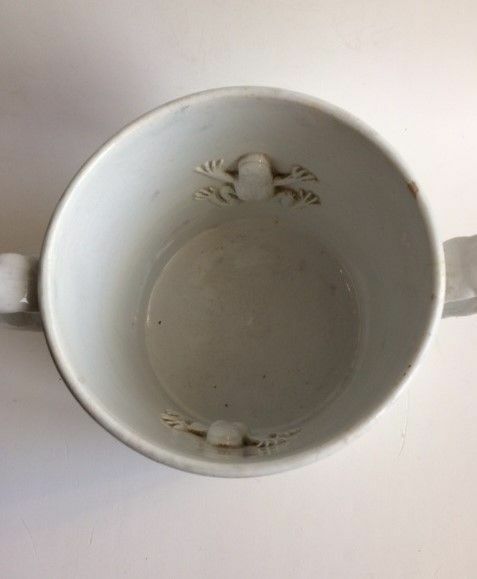 In completely unrestored, original condition - some wear to glaze, particularly on handles, small chip in rim, very fine hairline crack in one side and fine firing crack to exterior of base. 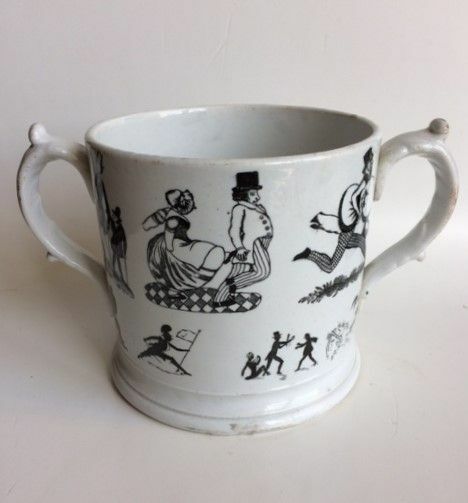 The Elsmore and Foster Staffordshire loving cup has been added to your saved items.